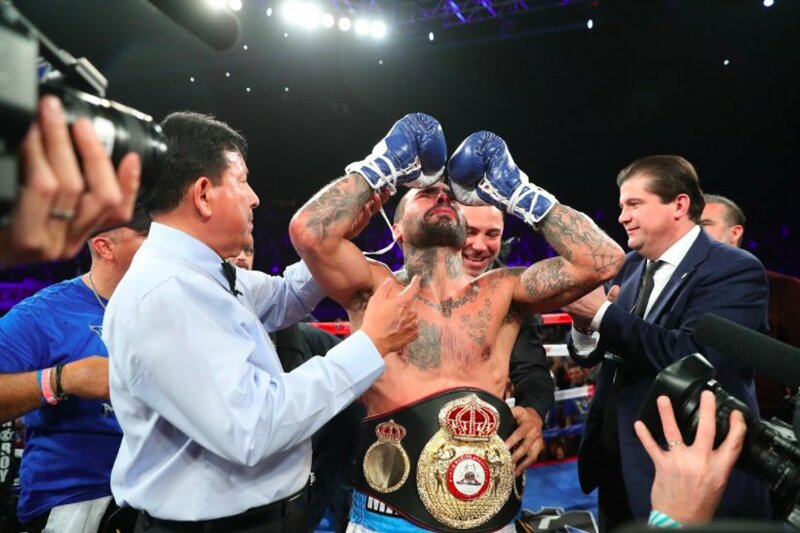 Lucas Matthysse captured the WBA "regular" welterweight world title in what was a very lethargic main event Saturday at The Forum in Inglewood, California, knocking out the previously undefeated Tewa Kiram in the eighth round. FightNights.com had the 35-year-old Matthysse down on the scorecards when he connected with a beautiful right hand that sent Thailand's Kiram flat on his back. The 25-year-old Kiram (38-1, 28 KO's) fought valiantly, but it didn't appear he had completely recovered from the previous knockdown, and went down from a hard jab, to end the fight. With the victory, Matthysse (39-4, 36 KO's) is a world champion in his third try. He lost in his previous attempts to Danny Garcia in 2013 and was knocked out by Viktor Postol in 2015 in very similar fashion to how he defeated Kiram. Prior to the start of the sixth round, the California State Athletic Commission confiscated some herbal drink/substance from Kiram's corner. There's no word yet on what was found, but we'll keep you updated. The WBA's "super" champion Keith Thurman is set to defend his title on May 19 at Barclays Center in Brooklyn, New York. FightNights.com is hearing from several sources that it could be former titleholder Jessie Vargas.